When American finished building its opulent Terminal 8 complex at New York’s JFK Airport in 2007, there were already plans to expand. What the airline didn’t predict back then is that the expansion would hardly be needed. American has done nothing but shrink at JFK, and that has created opportunity for smaller partners to move in. There has long been one partner, however, that makes the most sense for co-location, but until now that hasn’t been possible. Fortunately, there is now a plan in place to move British Airways from Terminal 7 to Terminal 8. British Airways and American effectively offer a shuttle service between JFK and London’s Heathrow Airport. Just look at today’s schedule. That is a truly dense schedule and one that appeals to the business traveler who just wants to get on the next available flight. The problem today is that American is in Terminal 8 while BA is in Terminal 7 and they aren’t connected behind security. That also makes connections from the remaining domestic American flights to BA flights more difficult. Even though Terminal 8 was built to be expanded, moving BA wasn’t an easy fix. See, Terminal 7 was actually built for BA’s predecessor BOAC, and BA operates the terminal today. Further, with this kind of schedule density, you need a lot of open gates at the same time to handle the entire operation. What isn’t clear to me is if this actually means that 5 new gates will be added or if existing gate space will be re-allocated to mean that there will now be 5 more gates that are widebody-capable. Regardless, only having to spend $344 million to bring an operation as big as BA’s into a terminal is a real reflection on just what American has done at JFK… shrink. If you want to be generous, you can lump the daily 737-800 to Bermuda in there, but it’s still a skeleton of what it used to be. While we’re at it, let’s look at the domestic network. Of course, you have the hub operations. If you add it all up, that makes for around 100 flights a day in total with a quarter of them being on regionals. With 29 gates in the terminal, there should be all kinds of room for other airlines. Over time, smaller partners have crept in. You have Cathay Pacific with its 3 daily flights, LATAM with 3 or 4 a day, and Finnair, Qantas ,and Royal Jordanian each with one flight. But there still should be room for a BA-sized operation. The bottleneck, of course, is in the late afternoon/evening. The terminal has to be built to handle things at the peak even though it’ll likely be a ghost town the rest of the time. Still, it appears American has shrunk enough to the point where it will take only a fairly marginal investment to get enough gates to handle peak BA. This is good for passengers on BA and American, but it’s also good for everyone else at the airport. With BA’s departure, Terminal 7 can be razed, and something new can be built on that spot to better integrate with JetBlue’s existing terminal. Now I just find myself wondering… how much further can American shrink? There might be room for even more partners in the future the way things are going. Terminal 7 can’t handle an A380, but can terminal 8? If not, will it be able to after a $344 million investment? JFK-LHR is a market where BA’s A380s should do very well. Unfortunately, they can’t use them currently. Anony – Well it depends on whether they outfit the new gates with A380 capability or not. I agree that the 380 would be one of the few good places for BA to put that airplane. But then again, who knows how long it’ll last in the fleet anyway. Parker et al have always been “huge hubs or no hubs at all” – as evidenced by shrinking BOS and LGA significantly back in 2009-2011 – to focus on DCA and CLT . They seem willing to give up market share and loyalty in all cities except hubs. Giving up on JFK and the associated loss of pax is something UA did and now regrets. Hopefully AA is not so set in their ways to be blinded to this. However, my guess is they are still obsessed with the big hubs and noting else matters. One needs to look no further than Delta’s success in building up smaller, high yield markets like BOS and RDU, to see that this strategy can be successful. AA is a different animal than US was, and I hope Parker realizes that the combined AA shouldn’t always be run like US was. Otherwise he may look back in 5 years and have a realization like UA recently did in regards to JFK. yea….. DL’s “success” of NYC – defined as failing to fly JFK to anywhere in East Asia. DL is winning neither the NYC-LAX nor the NYC-SFO and yet they think that’s called “winning” hahhahahahahahaha. actually, Henry, the DOT says that Delta has a 34% market share in the combined JFK-LAX/SFO markets which is twice what American carries. DL is not making any money in NYC. They probably are doing okay at LGA, but their JFK operation isn’t going to make any money while B6 is around. They are in a prolonged market share battle in New York. Not other carrier out there has fortress hubs like ATL/DTW/MSP/SLC that allows them to carry out new projects in BOS/SEA/RDU that are just hemorraging money. Feel free to provide a modicum of data to support the notion that Delta is not making money in NYC. It is beyond logical to think that the world’s most profitable legacy airline is simply on an ego trip in their 2nd largest hub (JFK) by ASMs and continues to add capacity there subsidized by their other hubs. An airline simply can’t operate its second largest hub at a loss just for status. It might make you feel better to think that Delta doesn’t make money in NYC and esp. at JFK but it defies all logic and is completely unsupported by data. Just because American is shrinking in NYC and can’t make money there doesn’t mean Delta cannot. American’s woes in NYC go back to its pre-bankruptcy years where its costs were 10% higher than Delta’s and the highest in the industry as American tried to hold out in filing for bankruptcy. American’s uncompetitive cost structure allowed competitors including Delta to add capacity and make money where American could not. At some point, American reached a tipping point in NYC where its competitors including Delta gained such a size advantage that they could win corporate contracts. JFK-ZRH is an example of just one market where American held valuable corporate contracts but couldn’t hold onto them, watched their average fares fall, lost connecting traffic to fill international flights, and now don’t fly that market at all. The same scenario has played out over and over again in NYC and explains why American continues to shrink there while Delta is growing. JFK is definitely not DL’s second largest hub. Delta’s hubs in order of size by daily departures are ATL (obviously), DTW, MSP, SLC, LGA, then LAX or JFK. JFK is Delta’s #2 transatlantic hub after ATL. According to published schedule data, Delta’s JFK hub is the 2nd largest to Europe (doesn’t even include TLV and Africa) among US carriers, second to UA at EWR and with more seats and flights than Delta at Atlanta. DL/ATL has more available seat miles than DL/JFK because of the longer distance and larger average aircraft size. And on an overall hub basis, JFK is DL’s second largest hub based on available seat miles (ASMs) as I noted. Other hubs offer more seats and flights as you note. None of this changes the situation AA is in at JFK and thus in NYC as a whole but simply highlights that NYC Is a much larger market than any other AA hub. AA’s inability to retain its position in NYC has come at a high cost in terms of competitiveness with DL and UA. I guess Scott Kirby doesn’t know anything either right? “We have about 15 percent margins here in Newark,” he told employees. “We estimate Delta in New York has a 4 percent profit margin, even when times are good. And American is somewhere in between. Aside from this, I’ve actually posted many of this data on a.net based on BTS fare data and T-100 data. There are so many routes out of JFK like CLT/RDU/BOS/HOU/MSY where B6 has better or close to the same RASM as DL running E90s or A320s against regional jets of DL. On big leisure routes to FLL/MCO/SJU/TPA/PBI (biggest markets out of JFK) where DL has a lot of capacity, they get same or lower RASM than B6 who is operating higher capacity planes (a lot of A321s). Now since B6 has 15 to 20% lower CASM on average than DL, one would imagine B6 E90 vs DL CR9 or B6 A320 vs DL CR9/B717 or B6 A321 vs DL 737-800/A320 CASM gap is pretty large. And then we factor in big island market out of JFK like STI/SDQ/PUJ/MBJ/KIN (which we only have LF data to), B6 controls pricing on all of them. Their yield profile is very much like SJU and their results are likely that way too. There is a reason DL doesn’t try to expand in those markets. And then we have the domestic beyond perimeter stuff which were really profitable for DL before mint entered. Now they have basically SLC which is very profitable and AUS which is doing well. Aside from that, SEA/SAN/LAS all saw yield crashing after mint entered. LAX is probably doing well and SFO is probably making money, but not that much. On the whole, they make good money on hub routes like ATL/MSP/DTW/SLC/LAX and a couple of business markets do well enough AUS/PDX, can’t even turn profit to their new focus cities SEA/BOS/RDU and bleed money on all the leisure stuff that B6 dominates. And then they have a regional within perimeter stuff which survive on connection. Difference between AA and DL is one has more slots and willing to loose money to build up market share and the other does not. As a regular on the RDU/JFK route, I don’t even look at B6. They don’t have the lounges at either place, they don’t have the SkyMiles (or equivalent) program or the convenience. So, I’m good to go. Plus, if I’m traveling beyond JFK, B6 isn’t even in the game. So don’t throw these “willing to lose money….” thing at the argument. DL just has it, hands down. Would you honestly trust a competitor to provide an assessment of your profitability? If you are, I have land to sell you. Given that Scott Kirby couldn’t figure out how to make 1/4 of the slots at LGA work, virtually gave them to Delta, and then took slots from Delta that ended up having to be divested in the merger with AA, it is more likely than not that Kirby is trying desperately to find something to wish he can find something to top Delta about. The bottom line, regardless of what Kirby or you say, is that airlines don’t publish hub profitability. The DOT does publish fare data. Given that UA has a much higher percentage of connecting traffic and uses a MUCH higher percentage of 50 seat regional jets, it is very hard to believe that they do better in terms of profitabililty than DL on comparable routes out of NYC. And your list of routes where B6 has higher average fares notably DOES NOT include most of the destinations in the western US – because Delta has higher average fares in those markets. Further, two class regional jets do have CASM as low as or lower than mainline – that is why airlines use them. 50 seat RJs, no. And the most common mainline aircraft Delta uses at JFK is the 737-900ER which is more cost effective than B6′ A320s. You can argue for whatever data makes you feel good but the simple fact is that Delta is far more profitable than any of AA, B6 or UA right now. Delta simply does not operate its NYC hubs as a social experiment. They are the size they are in NYC because they make money. It makes no sense to think that Delta loses money but keeps growing in NYC even while delivering much stronger financial results than AA and yet it is AA that is cutting capacity. Delta gets higher average fares out of EVERY market in the western US than B6 and every market EXCEPT LAX compared to AA. However, when you consider that AA carries just 110 passengers per flight to LAX and has a vastly elevated cost because of it, there is no way that American gets higher margins on JFK-LAX than DL or B6. And let’s also not forget that Delta carries millions of pounds of cargo between JFK and LAX/SFO, nearly all of which AA used to carry. And even if you want to argue that Delta doesn’t make money in NYC, as long as they can deliver much higher system margins, it is AA and B6 problem to figure out how to deal with Delta. In the case of AA, they clearly have deployed an endless list of failed strategies in NYC which have paved the way for DL’s growth. AA’s shrinkage and DL’s growth are very much both still happening and there are no signs that the trend will reverse anytime soon. It does very little and only distracts from what has been happening for years to try to argue how poorly Delta is doing rather than face the reality which is that American is shrinking because they – not anyone else- is losing money in NYC. If you doubt it, you need to listen to Doug Parker on American’s earnings calls. Well, DL has been quite profitable for an extended period of time. They also do a lot with an Alliance Partnership (beyond just SkyTeam) where they share operations with Virgin Atlantic, Air France/KLM. So they aren’t trying to have large numbers of flights of DL aircraft flying everywhere, but strategic in where they fly their metal, and where Virgin & AF/KL fly. The A380 is also a behemoth of an aircraft that is quickly going out of style. Wow, it is shocking how much AA has shrunk … I knew it was big but I didn’t realize it was that big … what’s the eventual plan? How can AA just walk away from a market as big as NYC? Are they just handing the market to DL? There is no way PHL can replace NYC … maybe costs are lower, maybe it can serve as a regional hub but to walk away from the largest metro market in the US??? AA mainline has shrunk because it’s now all regional flight out the wazoo. Cutting your way to success in a positive economy doesn’t seem like a winning strategy. Sure, moving BA over is great for the LHR traveler but at what cost? How many locals have abandoned AA for travel to everywhere else? Hubs have a purpose and I get why everyone wants their “ATL” but unless you’re out for a mileage run I’m sure most would prefer direct flights. Killing the MCO flights seems extra dumb. No more Disneyworld runs? I get that it’s a lot of leisure traffic but you’ve basically ceded that business to DL and others. Why? Chicago – New York is (or was) the top US city pair, in terms of number of passengers, and AA only has one flight a day from JFK to their ORD hub? Wow. Even allowing for the fact that LGA is more convenient for many travelers, the fact that AA only has one flight a day from JFK to ORD blows me away… Would have guessed that they would have hourly shuttles on that route during peak times. They actually have AA Shuttle branded flights from LGA, I think 14x per day. Makes sense. I guess if there are few international flights left out of JFK for AA, they don’t need many flights from another hub to feed those, but still. and YET their so called Shuttle-branded service isn’t even the highest frequency offering in the market. For whatever reason JFK-ORD has never been a focus relative to LGA-ORD for anybody. United never flew it, even when they had SFO, LAX and IAD service out of JFK, and AA has barely ever flown much on JFK-ORD. Kilroy – People just haven’t flown from Chicago to JFK historically. United doesn’t fly it at all. So the only reason to fly it would be to feed connections, and American does that with the spartan schedule it has. since United doesn’t fly to JFK at all as a result of former UA mgmt. decisions, a move that Kirby has said hurt UA even though he was a key decision maker in giving away 1/4 of US’ LGA slots, AA and UA have both suffered from a severe lack of strategic vision for and understanding of the NYC market. It is not a surprise that Delta and JetBlue have grown as much in NYC as they have. Pretty sure AA looks at NYC as a whole. But regarding JFK I see a few things. 1) AA has too few slots to reachable a scale to successfully complete with DL and B6 at JFK. 2) AA has too many slots to focus only on hubs and Key corporate cities outside LGA perimeter, leaving them with a largeish operation with enough scale. 3) Making PHL the primary TATL hub (I actually agree with this overall) means you lose the reason for a lot of those limited in perimeter nonstops on 1-3x daily, those can be solo served from LGA therefore they get cut. I don’t think AA has gotten to a strategic plan for JFK yet. Right now it seems to be a tactical plan to eliminate unprofitable flying. But unless they want to risk giving up slots they need to find a niche for JFK that strongly complements their reasonably strong position at LGA. JFK and LGA airports have always been closely linked as markets. Let’s not forget that USAirways (under Parker and Kirby) gave up 1/4 of the slots at LGA to Delta because US couldn’t figure out how to use 1/4 of the slots at the richest shorthaul business market airport in the world. US had no international presence in NYC and their demise at NYC came as no surprise. DL aggressively built LGA and JFK together to capture more local demand than any other airline including UA at EWR; UA carries more passengers because of more connecting traffic but DL carries more local passengers. UA also gets more local revenue because of more Asia and Latin America flying. American has simply been unable to compete with Delta or United in NYC and every American cut only makes AA’s hole that much deeper. According to DOT data, American underperforms Delta in average fares in nearly every market from LGA except AA’s hubs so the notion that LGA is saving AA’s NYC bacon is not accurate. AA flies to a lot of markets from LGA where they underperform DL at LGA and UA at EWR. Add in that B6′ Mint strategy has made a mockery out of AA’s 321T strategy by cutting fares in premium cabins while American alone carries 1/2 the number of passengers per flight to LAX that DL carries and less than 2/3 that B6 carries and American’s niche strategies in the transcons and internationally from NYC have been complete failures. Given that American is now #4 in NYC on a combined basis for local NYC passengers (excluding connections) behind Delta, United, and JetBlue and it is doubtful that American can turn around its continued decline in NYC. Let’s not forget that costs to operate Terminal 8 have soared as the number of passengers has fallen. Bringing oneworld carriers into the terminal is the last best hope that American’s costs will not be so prohibitively high that they can’t be profitable in the JFK market regardless of whether they can sell tickets or not. Please at least quote things in proper order instead of pretending your employer is #1. It’s UA, DL, B6, AA, in that order. page 2, top left table, most recent 12 months rolling of published data. The Port Authority quotes AIRPORT BOARDINGS, not local market share which is what the DOT measures and I quoted. Delta connects far less traffic via its NYC hubs but carries a far higher percentage of local revenue per flight. oh, and I don’t work for Delta or any other airline or any other aviation company at all. And I’m not sure how it makes AA’s situation any better to be #4 after regardless of the order of the 3 airlines above it. Feel free to tell us how the order of 1-3 changes anything. if your DL gig isn’t working out you should go stand up comedy !! feel free to live inside your head. Kirby has been publicly quoted saying EWR is the actually the single highest %O&D hub among all of UA’s. I am disagreeing with his assessment of the profitability of his hubs vs. other carriers. If UA’s hubs are so much more profitable than other carriers, then why does UA’s profit margin trail Delta’s by a pretty wide margin? The sum of the pieces does add up to the whole. If UA really does so well in its coastal hubs, then why does it do so poorly in its midcontinent hubs and why does it poor resources into them thinking they are going to close a margin gap that is far larger than what a few CRJ550s can close? Airlines simply don’t provide profit breakdowns by hub and it is a guess at best to estimate what someone else makes on their own hubs. It is also noteworthy that Kirby and only Kirby feels a need to compare his carrier’s hubs to other carriers’. And DL simply chose to operate two hubs at two NYC airports – given that LGA and JFK are BOTH the largest airports for local traffic from NYC for shorthaul and longhaul travel. UA has one hub which is great for connections but DL chooses not to route near as many connections through NYC as UA with nearly all of its connection traffic going through JFK. LGA is almost entirely a local market airport including for DL. And relative to AA, which is the focus of this discussion as much as you and others want to keep finding fault wiht Delta as if that changes anything about AA, what is notable is that NYC is not the number one revenue market for AA – but it is for both DL and UA. When combining all 3 NYC airports, DL and UA both get more local revenue from NYC than any other city and both are growing their local NYC revenues. AA is not. I live by statistics which are accessible to anyone that understands the airline business and the data behind it- whether they make money doing so or not. As much as you want to argue otherwise, it is AA’s decline in NYC that has caused it to share its terminal at JFK and no one else. except that it seems that their presence has kinda fallen to the point below minimum sustainability threshold. just ask yourself – how many legacy hubs have historically shrunk to barely over 80flts in winter and actually remain in an equilibrium for any period of time ? the “they cam’t be all things to all people” and “we focus on business destinations” and “we’re profit not prestige driven” were the same reasons UA used at JFK, and prior to that, DL at DFW. CF, thanks for the post. While all of what you are saying may have little direct impact on my personal travels, what you are saying, how you support it, and how you make everything so readable, is very commendable. I read your posts not because of how many times you post, but how well you do it when you do post. Please keep up the good work! AA actually only does about 80 flights a day in winter time. AA will probably can most of the regional operation, which are all on 44 seaters now. Those have terrible economics. With the reduction in their international operation, I don’t see how they stick around. And it looks like one of the BA gates will be where the regional gates are right now. They are trying things to squat on the slots, but the few things they’ve added like JFK-DEN didn’t last long because the performances were terrible. They are now the weakest player in SAN/SEA/LAS with the worst yield. It won’t be long before those get canned to. Before long, they will be left to hub operation + LAX/SFO domestically. It’s truly sad what they have shrunk to. Only question is what happens to their slots. Related to the BA 7 to 8 move, do you have any sense on where Alaska, the other T7 client will go. Greg – I have no idea yet, but obviously Alaska would have to find a home somewhere. The other cats and dogs can scatter, I’m sure. T8 might find some more airlines there, but so would T4 and T1. It seems like they too could move over to T8. The space crunch seems to be focused on the wide body gates, but I bet AS would have plenty of room for their operation on Concourse C at T8. Didn’t AS just open their lounge in T7? Speaking of lounges, I recently “camped” in the BA Galleries lounge in T7, and it resembled a refugee camp more than a lounge for business (class) travelers. Oliver – BA won’t move out until 2022, so there will still be plenty of use for that Alaska lounge for a few years. Perhaps T-8 can also house the other IAG operators at JFK? Bring IB and EI into T-8? While EI does not belong to oneworld, I think that may happen in the future. EI has codeshares with JetBlue, so I think it’s likely to stay in T5. Isn’t it applying to join the OneWorld Joint Venture for TATL? That could affect the optimal location. Maybe they can finally move the second QR flight to T8. Any idea why currently the morning QR departure leaves from T7 and the evening departure leaves from T8? Surely there is space in T8 in the morning and its not like folks are connecting LHR-JFK-DOH. Ben – I have no idea. It’s a weird one. I have long wondered if part of what was holding up BA’s move was a perception by BA that AA’s premium traveler services weren’t up to snuff. BA’s T7 lounges weren’t much to get excited about but AA’s lounges were for a long time much worse. But now AA’s JFK lounges are better than BA’s, though I imagine some additional work will be done to replicate the business class pre-flight dining offering at T8. Also it’s a nit but I think Cathay is actually 3-4x/day? Bgriff – Yeah, I think it’s something like 25 a week for Cathay. But this was all just rounding anyway. CF, As I recall the PA has wanted to eliminate terminals 2 & 7 for some time. If terminal 2 goes the 10-gates could be added to terminal 4 to consolidate DL’s operation. Likewise for terminal 7, the 12-gates could be added to either terminal 5 for B6 or to terminal 8 for AA. If need be, give 6-gates to both B6 & AA as there is a total cap of 153 gates allowed at JFK & as of now, there are over 130 gates in operation. Three weeks ago, the BA Galleries lounge in T7 was a complete dump. No experience with how it compares to the AA lounges, but I can’t quite imagine that they are worse. I would suspect the Barcelona flight will be gone soon due to LEVEL (who AA has a codeshare with) entering the market this summer. And I would suspect that the vast majority of the aforementioned regional flights (which probably handle a bulk of O/D passengers) are still around due to LGA not being able to absorb more traffic. Yet once the new terminal is completed, I assume AA can then place larger aircraft on those LGA flights, thus eliminating the need for the JFK regional operation. In some ways AA’s strategy of moving flights away from NY to Philly makes sense. I hate connecting in NYC. All the airports are miserable dumps and can barely handle the traffic they get on a nice sunny day. Add in weather than it’s a mess. OTOH, PHL is another miserable dump just with no competition. Plus, having one terminal for both AA and BA is something that should have happened ages ago if it wasn’t for the fact that JFK is so poorly designed. your argument would work if you actually know there’s this little hidden secret thing called fact. PHL is under the same airspace as LGA JFK EWR, so weather delays out of NYC will cascade down to PHL. But yea, please keep telling your employer to shrink NYC, cuz u know, those corporate contracts out of PHL are completely on par with those out of NYC. Why are you being so nasty to people, dude? and being merciful and kind to people and gotten us what ?? the shittiest years of this nations. privileged people has always attacked things i like, so why am i not allowed to mount a self defense ?? This is sad to me because I find JFK T8 far better than average domestic terminal, and the Flagship lounge is fantastic. AA has a habit of shying away from any airport with another carrier’s huB presence (DL…) and it continues to show at JFK. Somewhat off-topic to all this, but speaking of the A380, with it now officially going bye bye, thoughts on this? I’m hoping Brett will do an obituary for the A380, similar to the one he did for Ted. Sure, the A380 will be in the skies for another 20-30 years, but it will no longer be built, and that’s enough of a reason to do a look back. If one looks at history, airlines that tried to be everything to everybody aren’t around anymore. They went bankrupt. I wonder why those who criticize American’s “right-sizing” of New York (not necessarily here but on other blogs) aren’t criticizing Delta for having such a small presence in Chicago. That makes no sense. Delta was never going to be able to be that big at ORD and trying to replicate or even try and compete with AA and UA there (and Southwest at MDW) would be financially disastrous. We agree. That was my point. It’s no different with American in New York at this point. No airline can be all things to all people – at least not in the US where the market is highly competitive. However, Delta presumably does make money in Chicago – it flies to both airports (the only US airline that does) and is still adding service to ORD with new service to RDU, BOS, and fairly recent service to SEA along with recent additional capacity to LGA. Delta gets higher average fares in the markets from ORD in which it competes. No airline has to compete in every market but the reason why American’s presence in New York is problematic is because they are far from getting to the point of having above average fares in the markets they do serve from New York. The list of markets where that takes place is to their own hubs as well as their joint venture partners plus EZE and GRU. and for all UA says that leaving JFK was a mistake, they left because they couldn’t get high enough average fares even in the transcon markets that were left. Strategically it might hurt not to be at JFK but that doesn’t mean that if they returned they could get high enough fares. AA tries to retain its pre and post-merger network (most of what is problematic internationally is pre-merger AA) but Parker and co. have tried for 5 years to hold onto it. I strongly suspect that American’s decisions about Chicago to Asia won’t be the last major pre-merger AA hub international cutbacks. SEA – DL average fare of 197, UA 248 on non-stop itinerary and DL flights average under 140 seat per flight and UA is over 170. RDU – DL regional average fare of 204 and UA average fare of 225. on non-stop iterary. DL flights are on 70/76 seaters. UA flights are on 150 seaters. SLC – DL average fare of 233, UA average fare of 264. About same LF. DL does get slightly higher fare to LGA, but it’s flying 70/76 seatsers + some B717, while AA/UA are flying mainline 737s. Now, DL does have higher yield when factoring in the operating aircraft for ATL (by quite a long shot), DTW (lower fare, but 160 seaters vs 70/76 seaters of UA) and MSP (a little higher than UA), but that just reinforces the point that its fortress hubs of ATL/DTW/MSP are stronger than any of UA’s hubs and AA’s hubs outside of CLT. Especially in this case when point of sale at ORD is split between UA/AA. I didn’t say anything about Delta’s average fares in ORD-RDU because the route hasn’t even started. I did say that Delta gets higher average fares in the markets (as a group) in which they compete from ORD. If you don’t know how to access DOT average fare data, then accept from those of us that do that Delta very much does get higher average fares from ORD. I doubt very much that you will accept my word, but Delta gets higher average fares from LGA to ORD than American OR United. Of the 3, American gets the LOWEST average fare but has the highest share. So much for your comment about Delta using its slots to drive market share. At least to ORD, that is what AA does. Delta’s average fares from Detroit and Minneapolis are not just a little higher than American and United in Chicago but a whole lot higher. Delta’s average fares in Atlanta are not necessarily high compared to other hubs but Delta dominates the Atlanta market and drives enormous volume at far lower costs which is why Atlanta is profitable. Delta’s Atlanta hub has the highest average aircraft size and the smallest percentage of regional jets. Delta’s average aircraft size in Atlanta is higher than Southwest’s system average – and Delta gets a substantial revenue premium to Southwest. Instead of making blanket statements which are false, you need to look at real data. Delta has a double digit domestic average revenue premium which drives a huge amount of their greater profitability. Even in major American and United markets, Delta gets higher average fares in the markets that Delta serves than American or United get in Delta markets. Your generalizations are not supported by facts and are actually wrong. And, again, you can go down a million bunny paths but American is shrinking in NYC – and Boston and Raleigh etc while Delta is growing. funny … the guy claiming to be DOT fare authority yet refuse to post even a single high level number (and many of those are public data). and you’re probably mis-interprating the data either by only looking at local O&D fare (UA and AA offers faaaar more capacity, so to expect them command the same is a joke) or purposely using the column that takes a large haircut to allocate for connecting seg fares. you do remind me of a certain AA employee named Mark – always use a very very specific criteria to proclaim AA is #1 in XYZ, and when asked to showcase criteria or data, always use the lame excuse “it’s paid data can’t share” BS…. More likely than that he just parrots whatever they send out via employee communications without actually using his brain. if it is public data, then why are you arguing that I should be able to show it? I’ll be happy to post specific examples but I am not turning Cranky’s post into a data dump because you don’t want to do the work to disprove my understanding of the markets? FC’s post above is largely accurate minus a few glaring errors. Delta doesn’t fly ORD-CLT and hasn’t even announced it. ORD-RDU hasn’t even started. And the difference in average fares between AA and DL on LGA-ORD is 8%… that is not just a smidge. It is also pretty close to the domestic average fare difference between AA and DL across their entire domestic systems. And if think 8% doesn’t matter, take a look at each airline’s total passenger revenue and lop off 8% and tell me how quickly that changes profitability. Or better yet, add 8% to the amount of revenue that AA got in 2018 and tell me if they wouldn’t be very comparable in profitability to DL if they could add on a couple billion dollars more revenue. When you consider how big the NYC market is and that AA is shrinking while DL and UA are growing and get higher average fares than AA in the markets they do serve (with DL serving more markets directly competitive with AA), then it isn’t hard to understand why this blog article is about AA accommodating one of the largest international carriers at JFK in AA’s terminals while that is not happening for any other airline. AA is indeed shrinking fast at JFK, which was once a busy O&D station for flights to the Caribbean and a significant gateway to Europe. AA also had a nonstop to NRT, then HND, and flew wide bodies to SAN as well as to LAX and SFO. A lot of that is gone. In the last 18 months alone, they’ve pulled down ZRH, made GIG seasonal this year (it will be gone before year end), cut SJU completely and it looks more and more likely that BCN will be cut and MXP may end up moving to PHL (surprised it has not already given that DL, UA, AZ, EK, and Air Italy all fly NYC-MXP and the yields must not be good). MAD lives on because it is a oneworld hub, and fortunately for anyone who has to fly AA on JFK-MAD it is getting a welcome up gauge to the 777-200ER next month (as is CDG), the last two AA TATL routes out of JFK that are flown on the 763 currently. PHL’s proximity does make it challenging to maintain a big presence at JFK, but the real root of the problem goes back to legacy AA pre-merger, and pre-bankruptcy, where AMR resisted cutting its costs through Chapter 11 like DL did and found itself unable to compete with a leaner, more aggressive Delta in NY generally and the low cost pressure from B6. The only way for AA to rebuilt JFK and expand its operation there is not to try and compete with DL or B6, but to remove a competitor and the only way to do that would be to make a play for JetBlue. From an aircraft compatibility perspective, it would be fairly easy to integrate the A320s and A321s. The DOJ may give AA a pass in the NYC market, but maybe not in South Florida, where B6 has a major presence at FLL (given AA’s dominance in MIA). American has always been adept at cost cutting but always expansion shy and the JFK example is a prime example of that. Terminal 8 is currently JFK’s best terminal. It’s not crowded. It is huge (the largest at the airport), and has a decent FIS facility. It makes sense for BA to move in (and BA will never really need to deploy the A380 to JFK). JFK to LHR is all about frequency, not capacity. If AA continues to shrink JFK, Alaska (which is an AA partner) could move in, and if JL sells out of its interest in Terminal One, which will be demolished and replaced anyway, they could move too, putting virtually all of JFK’s oneworld carriers under one roof. AA or any legacy carrier can’t merge with or acquire any low cost competitor because the low cost carrier’s presence exists because of its lower costs. At American’s costs, large portions of B6′ network don’t and won’t work. Regulators and AA and B6 management know that. American Airlines has acquired lower cost competitors before, not to grow necessarily, but to remove a competitor (Reno Air for instance, in SJC and AirCal long before that) and the TWA acquisition wasn’t about getting bigger, it was about trying to create efficiency by knocking out a weak player with a handful of valuable assets including a reliever hub for ORD (STL), a large fleet of MD80s. AA can most certainly make a play for B6, and if they succeed, take it apart. The US airline industry is much more concentrated now and regulators have expressed no desire to allow consolidation through merger and dismantling. What happened in the late 80s has little to no bearing on what could happen today. You can hope that AA will merge or acquire its way out of its downfall at JFK but that is unlikely to happen, esp. since a large chunk of AA’s downfall has been in the international market which B6 can’t correct. B6 can’t help AA in any meaningful way at LGA either. Discussions about Chicago or other markets are simply sideshows to the fact that NYC is the US’ largest air travel market and AA is smaller today in local market revenue and share in the 3 NYC airports than post merger – the only one of the big 6 US airlines in that position. Hope that AA can buy its way out of its mess in NYC when it already is the most leveraged and lowest margin US airline are fantasies given that regulators would see a JBLU acquisition for exactly what you suggest – elimination of a competitor and consumer choice. Sharing its expensive and underused terminal at JFK is simply a way to try to financially offset some of the costs of that decline at an airport where space is limited but AA has excess space and other carriers and the Port Authority want to grow. the biggest issue(s) with a hypothetical merger of AA+B6 is Orlando and Caribbean ethnic — (1) AA has nearly zero use for such a large MCO operation on top of heavy presences at both MIA and FLL (and there’s no synergy in THAT split hub, unlike what airlines can do with LGA+JFK). (2) B6 is practically *the* go-to airline for ethnic VFR from the northeast, mostly NYC, or various caribbean islands. The last few years has shown AA isn’t half a bit interested in that traffic through any single hub on a connecting basis. 1) it’s spelled Sao Paulo. Paulo, with a “u”, not Paolo with an “o”. Sao Paulo is a Brazilian city in a country where the language is Portuguese. Not Italian (Paolo, with an “o”, is an Italian spelling. 2) American’s presence in Europe from NYC was never that large. I think it’s actually the largest it’s ever been. Sure, they operated Frankfurt for one summer and flew to Zurich for a long time. But that was before they started flying to Barcelona and Madrid year round. They never had some huge network at JFK to Europe. It pays to do a little research. They had 67 mainline flights. They did only flew to CDG and LHR in Europe. They did have a lot of flights to San Juan. Most of their flights were on small prop planes to upstate New York and New England cities. They did not fly to Zurich with their own metal. They did not fly to Milan. They did not fly to Spain. So, before you talk about some mythic AA monolith at JFK it pays to do some research so that you can be credible. Yes, this was pre the new terminal 8 being open. But there never was some huge amazing connecting complex with vast numbers of European flights and others that you seem to suggest. https://www.transportation.gov/sites/dot.gov/files/docs/mission/office-policy/aviation-policy/323106/domesticairlinefaresconsumerreport2018q2.pdf. This seems to be the most recent report available – q2 of 2018. Table 1, pages 1-28, shows the top 1000 us markets at a city pair level (so that includes all airports in a city, so New York would include JFK, LGA, EWR, LA includes all LA airports, etc). Go to page 27-28 of table 1. That’s where you’ll see the transcon fares and market share leaders. for NYC (again, all airports) to LA an SF, UA is the leader in share. and seems to have the highest fare. This is for o/d traffic, not including connecting traffic. Just for people going between each city point. Page through and you’ll see a lot of interesting information that will confirm/ deny what a lot of people are spouting without knowing here. thanks for linking the report but please note that it is for ALL LA Basin to ALL NYC airports. that is not what I referenced. And, if you actually queried the databases (which are available from the DOT and also are available through the 3rd quarter), Delta is the highest revenue carrier in the JFK/LGA/EWR-LAX market. UA carries slightly more passengers than Delta but Delta has a higher average fare. And, since the point of this whole article is American, I’m not sure why you need to argue about whether Delta or United is larger than American. In the NYC-LAX market, AA is the #5 carrier by passenger share but #3 by revenue share. In the NYC-SFO market, AA is the number SIX carrier for BOTH passengers and revenue. Delta is the largest carrier in the NYC-LAX market while it is United to San Francisco. Either way, American is fighting for the scraps that DL and UA, AS and B6 leave behind. And AA’s continued cuts to NYC only make their job of defending what they have left much more difficult. I’m not sure why some people have such a hard time accepting that there is no example of two legacy carriers having competing hubs at the same airport and both doing equally well over an extended period of time. Delta closed its hub at DFW because it was significantly undersized relative to AA. DL moved its assets from DFW as well as its widebodies that were flying domestic routes to NYC and grew while AA held off filing for bankruptcy and had much higher costs. Delta has grown at both LGA and JFK at AA’s expense while B6 started the whole process with its growth into AA’s once dominant NYC-Caribbean operation. In Chicago, United has doubled down on growth and used its larger international presence to win over corporate business which American can’t maintain. Although American had larger share post merger, United is quickly displacing American in market after market. Given that American has no other Midwest hubs, unlike in the NE, American’s slippage in Chicago is particularly problematic over the long-term. In each of three largest US markets (New York, Chicago and Los Angeles), American is losing share to Delta or United and American underperforms Delta and/or United in multiple routes in which two or more of them compete. Sharing terminals is the inevitable but actually fairly small result of Delta and United’s more focused and better executed restructurings and mergers which preceded American’s. I guess you didn’t read what I wrote? I did acknowledge that this report was for city pairs. And I did point out that NYC referred to all NYC airports, and even did mention LA too. one other thought on the transcons which you seem to enjoy discussing. AA’s A321T strategy is just one more example of why AA is losing share to every other carrier – and that is impacting AA’s performance at both JFK and LAX. The market itself is growing and AS is losing share that VX had – and which was already being pressured by B6, DL and UA. AA cannot grow capacity in the transcon markets to any significant degree because the A321T is a unique subfleet which is nearly completely deployed. AA’s mainline fleet plan calls for virtually no growth in the number of aircraft so AA’s market share in key markets is bound to fall as the market grows or other carriers add capacity, Further, AA can’t pick up some of the capacity that AS is cutting. In contrast, DL’s scheduling on JFK-LAX is moving from 763s and 757s to half or more of the flights on A330s or B764s. Even for B6, their lack of widebodies limits their abililty to add seats as quickly as Delta which is getting above average fares in the market – higher than B6 and AS but not as high as AA. Given that AA can’t grow, DL is picking up the growth even in the premium market. United is adding widebodies to its transcon schedule from EWR but that is having a bigger impact on AS than airlines at JFK. DL’s growth is having a bigger impact on AA because the two more directly compete against each other not just in the transcon market but in virtually every market AA flies from NYC. From a strategic standpoint, AA has few options to regain what it has lost while competitors continue to grow even in markets where AA is known to be vulnerable or unable to grow. AA consciously made the decision to go high yield. They purposely decided to forego huge share in exchange for higher yield, and they do that pretty well. Delta is going for share. Different strategies for different companies. I don’t think AA is trying to “regain what was lost”. That seems to be a concept being imposed on them by armchair CEOs here and on other blogs. I think they’re trying to say “given our slot holdings at JFK and LGA, this is how we maximize our profitability”. Ancient notions such as market share at any expense, which some here and on Gary Leff’s blog seem to hold in esteemed notion, aren’t something that AA cares about. American is getting high yield but it is also getting very high costs. you are kidding yourself if you think American is making more money carrying an average of half the number of passengers per flight and no cargo than Delta for 33% higher average fares. And the difference is there for B6 as well. And you still miss the point that AA is not growing in the transcon market because they don’t have the planes to do so even as AS gives up passengers which other carriers are picking up – but not AA. Companies don’t hold onto their position in highly competitive markets. They either grow or shrink. The evidence is overwhelming that AA is shrinking in NYC. No one is growing market share at any expense. Delta and JetBlue have both grown in the JFK market by adding passengers AND growing their yields. 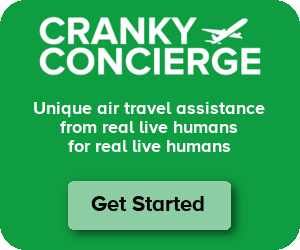 The notion that AA can operate as a niche carrier in NYC and esp. at JFK is being disproven by the day. The concept hasn’t worked in any other hub and there is ample evidence that it is not working in NYC. Whether you or AA understands or cares about those principles of the way competitive markets doesn’t really change the fact that AA is finding carriers to take up space in its terminal because its presence in NYC is shrinking while other carriers are growing. AA’s strategies in NYC have been one failure after another and the article here highlights what happens when you or anyone else refuses to understand that there are consequences for clinging to failed strategies. Dude, I’ve worked in Network Planning departments for a few airlines domestically and abroad. I understand the tradeoffs and the calculations that need to be made for these decisions. I never said AA made more money overall. It’s physically not possible when they have than many fewer seats. The issue is that they made the decision to go up yield before JetBlue came in with Mint. Beforehand, fares were a lot higher on those routes, and the configuration on the A321T made sense when fares were a lot higher. The fact that they have not made any huge wholesale changes in the past few years and haven’t altered strategy signifies a few things (potentially). It could be that they’ve managed to hold onto the highest yielding traffic and they literally just skim the top and that works for them. That’s actually NOT implausible. Or they just don’t have any other aircraft to allocate to these routes and they’re just making due. The answer is probably somewhere in between. I think if they truly were having a huge issue then they would make changes. Fact is, their actions (or lack of) speak volumes. Also, everybody here seems to be so caught up in growth and share for growth and share’s sake. That’s a notion of a bygone area. Airlines these days are focusing on growing markets and putting resources into strengths. American’s network has changed dramatically since merging with US. Things that once seem sacred for sacred’s sake (even those things that lost a lot of money) are being revisited. Maybe American doesn’t have to grow just for growth. Which is what you are suggesting they do. AS you can see in the timetable I posted earlier, their number of departures is roughly consistent with what they’ve always offered. They have grown at LGA. The point is, they don’t have to be all things to all people out of some misplaced nostalgia people have for what once was. They’re making the right decisions for them (or what they think they are) at the current time. And that’s all there really is to say about it. While you argue against clear data, let me post what AA’s OWN CEO said in their 3rd quarter 2018 earnings call. Hey, good morning everybody. Doug, in a presentation you did last fall, I guess, it was this fall, I think it was event, you cited that your aggregate margin performance in, I think it was Charlotte, Dallas, and Washington, and what that implied for your other hubs was comparatively poor round numbers, and implied that Chicago, Phoenix, and Miami were a little bit less than half as profitable as the best hubs. I certainly have my views as to what the drivers are for that potential disparity, again, this is all back of the envelope, but I am curious to hear what you think the drivers might be and whether there are any solutions for those weaker hubs? William Douglas Parker – American Airlines Group, Inc. Thanks, Jamie. First, let me clarify because also on those numbers we include LAX and New York, right. So you shouldn’t assume that that’s Miami, Chicago and Phoenix. Okay. That’s fair. That’s fair. So, but nonetheless fair point. I think as you look at – anyway, what I’d tell you is, again, every airline I’ve been at it’s often the case. You have some parts of the system that do better than others, but they all contribute to the system. And indeed that’s certainly the case with operations like JFK, like our LA and New York operation, and indeed our Miami operation right now, certainly is underperforming on a financial basis given the economics of the region. while you clearly struggle to accept the reality which everyone including AA’s execs understand, I am simply here to tell you and everyone else the details behind Parker’s own statement. If you would like to tell us where you believe AA’s problems are and provide data to support your position, then we are all ears. You don’t get to argue that I and anyone else that provides data to explain AA’s problems are all wrong. AA’s problems in NYC are its underperformance to continental Europe, its high cost regional operation, its average fare underperformance on most non-A321T longhaul domestic markets, and its A321T strategy which is higher cost than the higher revenue that AA gets. If you are willing to remember, AA said years ago that the 762 domestic operation was a key reason for their underperformance at LAX years ago. They landed on the A321T strategy but, as you note, B6 announced their Mint strategy very shortly after AA committed to the A321T strategy. You can argue as long as you want that I am wrong and that Delta is actually the airline with the problem but you and you alone are the one that can’t seem to accept the reality which everyone else understands – and which has resulted in AA seeking to find tenants to fill up its terminal at JFK even as every other terminal is busting at the seams and every other carrier is looking for more space. by all means, believe what you want. Also, I never said anything about Delta “being the problem”. Again, you’re putting words in my mouth. Delta has the luxury to be able to take the long view and make the really long term investment. They closed basically 2 hubs 10 years ago (mem and cvg) and have planes they can put in markets they want to grow – NYC and SEA. And it takes a long time to make things like that profitable. And they’re funding NYC and SEA with the profits from their ATL, MSP, DTW markets. There’s nothing wrong with that – Delta’s fortunate to be in that circumstance. I think Delta is doing what they need to do. AA is doing what it can do given its market too. I hadn’t brought up Delta previously but you pushed me to do so. A/nd I think they’re all doing what’s right for them. first, you are right that I am attributing things to you that you did not say. In fact, there are others who made comments that I have mixed with what you said. My apologies. However, you still provided no proof that Delta is using any profits from any hub to subsidize anything. That is pure conjecture and unsupported by actual facts. If you have access to the data you say you do, then you should be able to support your ideas with data or label it as pure opinion. and when AA’s own executives admit that JFK AND LAX are underperforming even without the crisis in Latin America that is pulling down Miami, then it is absolutely relevant to bring up AA’s hub profitability AS ITS EXECS SAY ABOUT IT and not what a competitor has to say. Regardless of whether AA has changed strategy or not, the viability of its operation at JFK is falling – and even AA execs admit that. And finally, it is completely inaccurate to say that AA’s size at JFK is the same as it was five years ago – unless you want to pretend the US merger didn’t happen. The number of AA/US flights are down by double digits compared to five years ago; ASMs are down even more because of the loss of international flights. AA and US did merge and the comparisons for what AA has achieved post merger is absolutely valid. AA is smaller at JFK than it was 5 years ago including US. And the reason, once again, why AA is losing share AND revenue is because the market is growing and AA is not participating in that growth. Growth is not just for growth’s sake and other carriers aren’t growing at the expense of profitability. AA is falling increasingly out of relevance in the NYC market because it isn’t growing even in markets like the transcons that it says matters while other carriers are growing; at the same time, AA is cancelling key markets and serving others very inefficiently which makes it unlikely those markets will survive long-term. Of course AA is going to do what it THINKS is in its best interest – but it might be time for you to admit that AA recognizes that they have passed the point of no return in their NYC presence and are simply riding out the decline until they can figure what the next step is. Pretending that their strategy is viable when they continue to cut routes and look for tenants in their terminal is just naïve. US had a minuscule presence at JFK. like 2 flights a day to Phoenix (maybe 3) and maybe a flight to LAS. And 3 or four flights to LGA. Your argument might make sense if AA wasn’t continuing to cut routes and give up terminal facilities. They clearly are not interested in maintaining the money-losing routes which clearly exist based on Parker’s own statements. And, no, AA has not grown LGA, again comparing AA and US from both the first and second quarters of 2019 to 5 years ago, same quarter. For the first quarter, combined flights are down 2%, flights down 5% and ASMs flat. For the second quarter, the first two are flat, ASMs are up by 8%. At best, AA is simply flying further with the same number of flights. and once again, whether you want to admit it or not, a no-growth strategy doesn’t work in highly competitive markets where other carriers are growing. They aren’t growing just for growth’s sake but because there is revenue to be grown. The notion that AA or any carrier can be a niche carrier in another carrier’s hub is simply not proven and AA is increasingly being marginalized in NYC compared to other carriers – with the result that AA is less able to gain high value revenue. Further, we keep hearing that AA can function as a niche player but they keep cutting routes. If being a niche carrier was sufficient, why do routes keep getting cut? maybe, just maybe, AA really does have limits to how much money they will lose on a route and as NYC routes keep crossing that threshold, they get cut – now matter how much more “niche” it makes AA in NYC. btw, good discussion. Hopefully others are benefitting from it. I find this discussion fascinating but a little off-topic. The Move of BA to Terminal 8 is the nail in the coffin of AA expansion there. As Cranky pointed out, the number of gates BA needs is remarkable, especially in the prime early evening hours for Europe (and South Amerca) departures. This is the reason BA retained their own terminal for so long – it’s by far the largest foreign airline operation in the US. Therefore it’s a safe bet that BA moving to Terminal 8 will heavily limit/preclude any future AA intercontinental expansion form there. AA is content to keep a small handful of flights to European capitals (no business destinations except LHR and MXP), and otherwise just sit on the NYC-LON route, long the most profitable international city pair, and one which BA utterly dominates. At best they will serve some minor connecting flow off their JV London flights, and a handful of Oneworld flights, and maintain the premium transcon business. Also worth noting that BA will def want plenty of space to build their own lounges, Business, First, and Concorde room which seem likely to further sap square footage/facilites from AA in that terminal, not to mention separate dedicated check-in facilities (which BA claimed in their press release about this) which further implies a good chunk of terminal space going to them… Seems to me all this adds up to an AA surrender at JFK, in a face-saving way. If I were BA, I would look again at pairing with American at JFK or anywhere else in the US. If AA is letting its offering wither away, what greater attraction could exist for BA. There’s no draw from AA feed.